4159-DST is rated 3.8 out of 5 by 25. 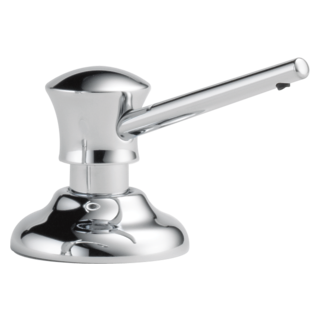 Rated 1 out of 5 by Jolly from Faulty on many issues - DO NOT BUY THIS PRODUCT I purchased this faucet for over $700 CAD in 2016. It worked fine for the first 6 months and then the 1) water pressure became less and the plastic strainer fell out and was broken in pieces - but at least the pressure returned. Next when changing the water stream type by pushing the button under the faucet, it would 2) leak through the buttons and it became difficult to push them to change back from one to the other. 3) Not long after the wand wouldn't return easily and lock into the faucet unless it has warmed up with hot water - most times it just sits partially in. 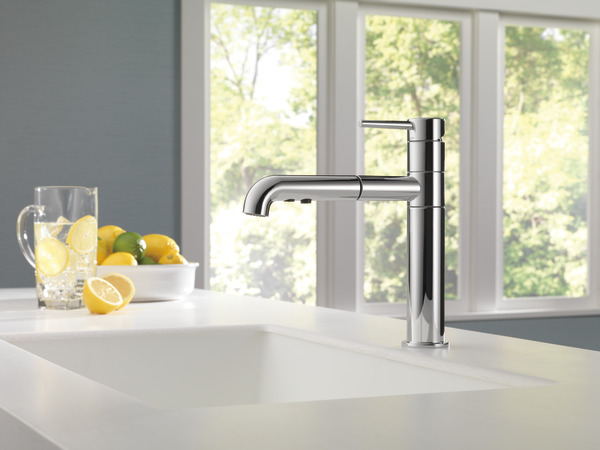 And finally, 4) the faucet won't stay in position in one side of the sink or the other (right to left) - it is too tight or loose on any given day. This is an expensive product that is garbage. I would not recommend to anyone. Rated 1 out of 5 by sonoma95476 from Faulty pull out hose I have replaced the pull out hose twice. Delta customer service has been very accommodating but unless they fix this design flaw, they will be replacing the hose again. I just replaced it about 2 months ago and it has already broken and is hanging over my sink. I love the design, but it is truly disfunctional!! So sorry I purchased this! 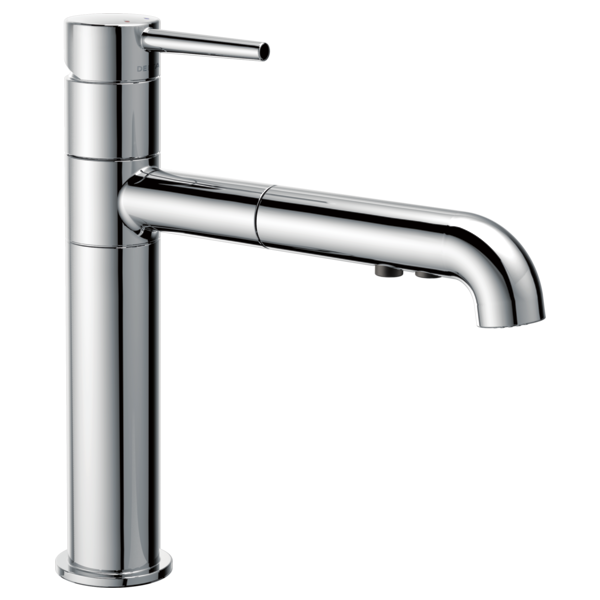 Rated 5 out of 5 by PamE from Faucet is very well made! Have only been using about 1 month, but so far I love it. Rated 1 out of 5 by BV2995 from leaky faucet and Delta will not honor the damages Our hose and wand became disconnected, as the coupling is some cheap plastic product that shrinks and swells with either cold or hot water running through it. It was hard to replace the wand from the get-go, but not impossible, so we did not formally complain; we just worked with it by running hot water through it before putting it back in the spout. A year and a half or so after we had it professionally installed, it failed and leaked water under the cabinet and down into the first floor without our knowledge. Delta refused to make good on any of the documented repairs relating to this failure, about $800. Rated 3 out of 5 by SteveInMN from Looks great; functionality? Not so much. Like another customer, we’re having trouble with the wand fitting back into the main faucet assembly after use. 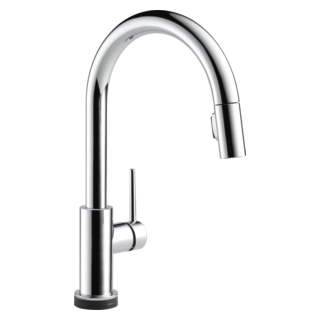 Rated 4 out of 5 by Teri from I like the faucet but I am not getting good pressure after 1 year. How do I remove the restrictor? Rated 1 out of 5 by Delta2017 from Aerator splatters water all over Pricey faucet but poor quality. The aerator splatters the water instead of directing it into a straight stream. Is there any way to reduce the pressure on the faucet? When we turn on the faucet, water sprays everywhere. Less so if it is on stream, but a lot if on spray. what is this faucet made of? is it solid brass or other metal? are there any plastic parts? how long are the provided supply lines? Are there any durability/cleaning issues with the black finish? 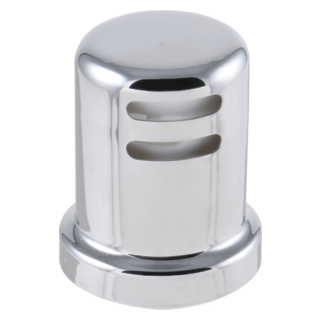 Have experienced some wear on very high end black finishes on hardware - which prompts the concern. how long is the spout on this faucet? Can you install a water filter to this faucet? One of the screw on types. 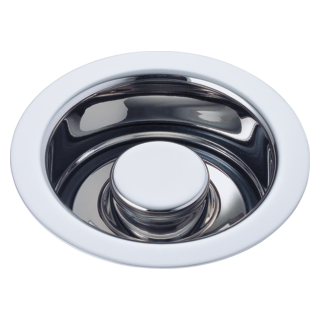 If so, how do you remove the aerator to install this? Is the 4159 made in the USA? 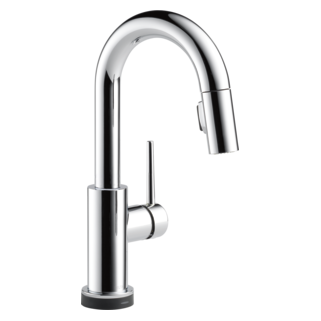 I saw verbiage stating all diamond seal faucets are made in the USA but I don't see the 4159 on the Made in USA white paper. How far can you pull out the sprayer? How far can you pull out the sprayer from the faucet? 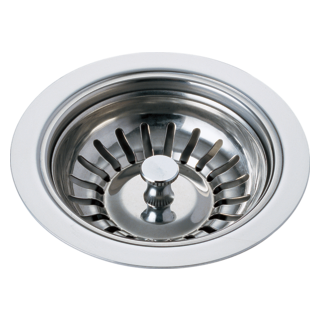 I am thinking of the 4159-DST for the laundry room sink. I would like to pull the sprayer out around 24&quot; to reach outside of the sink to fill containers that will not fit into the sink. Thanks.